Obviously, I have been playing around with shiny a bit lately. I did it for the Marisole Superhero post. I have another shiny post in the early stages of work. I rather like the shiny effect, though there should be a more effective way of doing it then what I have been doing. I just don’t know what that might be at the moment. I am really lucky to have supportive friends. When I sit around while we watch movies or hang out and draw paper dolls their reactions are usually, “That’s neat.” Rather than making fun of me for being a mid-twenties graduate student whose drawing paper dolls. When I was in high school and through most of college and I drew paper dolls, it was a tightly kept secret I shared with only a few people. I did say I collected, but it was always- because I have since I was a child… I never wanted to confess I really did still enjoy paper dolls. I’ve gotten over it. Maybe it’s time or maturity or something else, but I no longer get nervous telling people about my weird hobby… most of the time. It’s still not something I advertise. It’s a MAN! Well…sort of. The following conversation may have occurred. Me: Look. I’m trying a guy paper doll. My Male Friend: That’s a guy? My Male Friend: He’s kinda girly. Me: Uhuh… keep back peddling. Then we’ll talk. So, I redrew him, edited him and gave him manly strong man arms. He might not be like… the ultimate in masculinity, but considering I haven’t even tried to draw a guy paper doll in… um… seven years? Since high school anyway, I’m fairly okay with how he turned out. I agree his pose doesn’t scream MALE, but I wanted him to go with the Pixie dolls and match them to some degree. He’s like a male Pixie paper doll. And my critical guy friend made up for his criticisms by suggesting the name Puck for the series. This all began because I got a very sweet email asking for a paper doll for her son who wanted a boy paper doll. 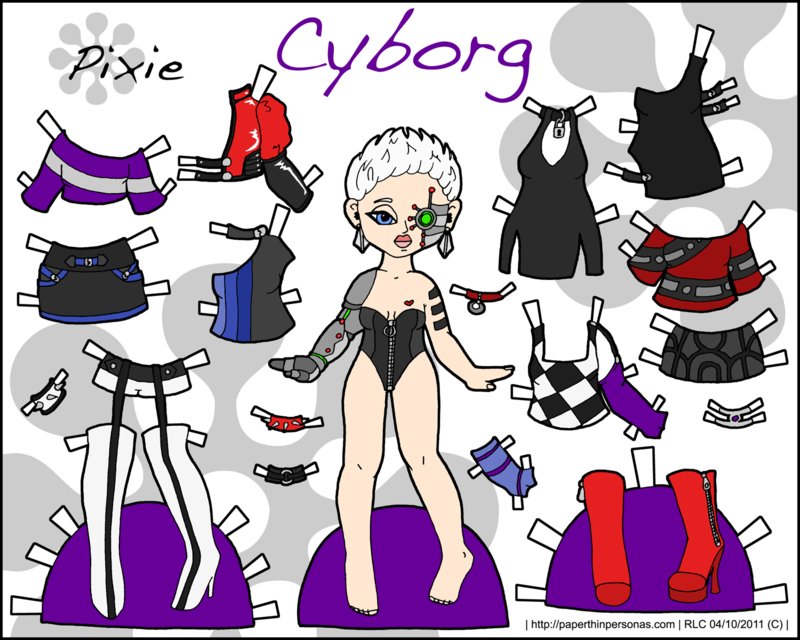 And since this year is about be trying new things with my paper dolls, I decided to go for it. My plan is to do one per month for the year, though I have to confess that most guys I know just wear jeans and t-shirts. It’s making for really boring paper doll clothing drawing, hence the steampunk paper doll.